A two-storey stone building overlooking the Red River in the Rural Municipality of St. Andrews is the former Rectory, or cleric’s residence, for St. Peter Dynevor Anglican Church. Built by stonemason Duncan McRae of locally quarried limestone between 1862 and 1865, its first occupant was Reverend Abraham Cowley. He named the house Dynevor in commemoration of his childhood friend in England, Baron Dynevor. When Cowley died in 1887, he bequeathed Dynevor to the Anglican Church for use as a hospital. It opened in 1896 as the Dynevor Indian Hospital, operated by the Anglican Church. 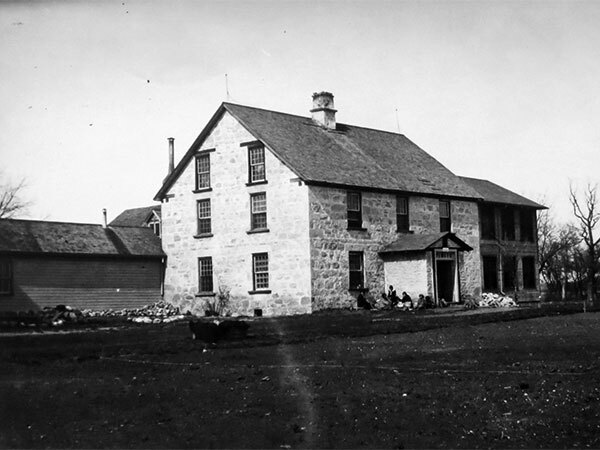 In 1939, the hospital was sold to the federal government to be used in the treatment of tuberculosis (TB) in Manitoba’s Indigenous populations. Its establishment acknowledged their staggeringly higher rate of TB infection. Between 1927 and 1947, the average death rate among Indigenous TB sufferers was thirty times higher than the general population. The hospital closed in 1957 and the building was repossessed by the Anglican Church. In 1951, the St. John’s Cathedral Boys’ School was established as a club for boys affiliated with St. John’s Anglican Cathedral in Winnipeg’s North End. In 1958, it opened a weekend school in Winnipeg then, in 1961, obtained a lease on the former Dynevor Indian Hospital and, in 1962, used it to open a full-time residential school for boys in grades 6 to 10. The school was operated by a new religious order called The Company of the Cross, affiliated formally with the Anglican Church of Canada but with associate members from other faiths, including the Roman Catholic Church and United Church of Canada. There was no requirement for the students to be Anglicans. When it opened in the fall of 1962, the school hosted 60 boys, most from the greater Winnipeg area but also from rural Manitoba, western Ontario, and Saskatchewan, Alberta, and British Columbia. One of the school’s founders was journalist Edward “Ted” Byfield, whose staunch conservative views were expressed in the school’s philosophy based on hard physical labour and corporal punishment. Described by one of its Headmasters as “the toughest school in North America,” the students were pushed to extremes on the thinking that this would build character and courage. Parents with sons who were discipline problems could send them to the St. John’s School to be “straightened out.” The school stressed vigorous outdoor exercises as part of its curriculum, including rowing on the Red River and Lake Winnipeg, an annual 80-km snowshoe march, marathon canoe trips, and snow-sledding using dogs bred at the school. Students were expected to work in addition to attending classes. They did all the janitorial duties, cooked and served food, raised sled dogs and cleaned their kennels, and worked on the school’s farm. Students went go door-to-door in Winnipeg selling farm produce such as sausages, hams, bacon, chickens, and honey to raise money for the school. Over time, they also helped to build several one-storey buildings beside the rectory, in a H-shaped configuration, including dormitories, dining hall, classrooms, and a gymnasium. The old rectory was used for school offices and classrooms and, in 1988, it was designated as a provincial historic site. School enrollment waned through the 1980s, from a high of some 120 boys, to about 60 students in 1989. In January 1990, sexual abuse charges were laid against one of its staff who had taught at the school off-and-on for 20 years. Five months later, in attempting to deal with the public relations disaster, the school’s name was changed to Rupertsland College, a new headmaster was hired, and female students were accepted for the first time. But the changes was too little, too late. In June 1990, after graduating 11 students, the St. John’s School for Boys closed, its entire board of directors resigned, and a receiver started to liquidate school assets. The Company of the Cross was unincorporated in November 1990. 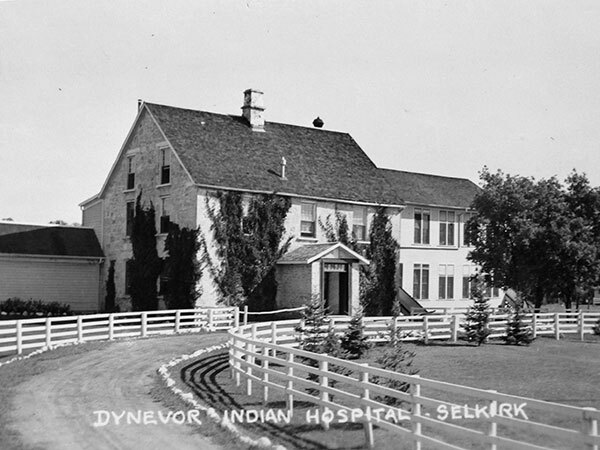 In 1994, the buildings became the centre of the Selkirk Healing Centre, a national non-profit addictions treatment centre for Indigenous people. The first resident was admitted in January 1995. It focused on Indigenous boys between 12 and 17 with stays averaging 90 to 120 days. Today, the facility is affiliated with the Behavioural Health Foundation based in the former Catholic orphanage in St. Norbert. The old rectory, one of the last remaining stone houses from the Red River Settlement era, now stands vacant. Its window openings are boarded over but painted to look like windows. A plaque in front of the building commemorates Boys’ School administrator Frank A. Wiens. 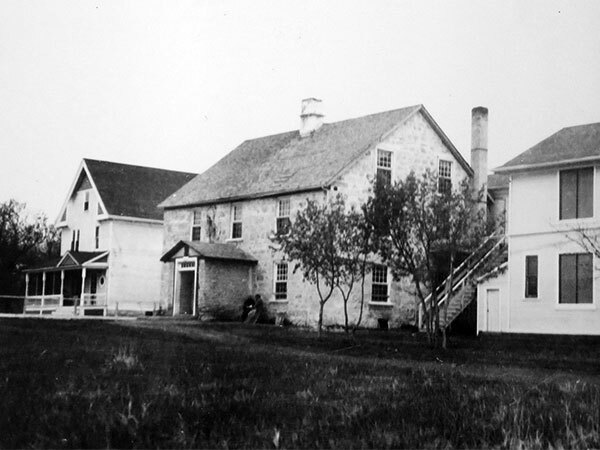 Source: Archives of Manitoba, Rupert’s Land Collection 152, N29451. Source: Archives of Manitoba, George Harris Fonds, Acc. 1979-141, P7453, Album 20, Page 37. Source: Archives of Manitoba, M. A. MacLeod Collection 31, N13847. Beyond the Gates of Lower Fort Garry, 1880-1981 by Municipality of St. Andrews, 1982, page 101. “Boys’ school guest lecturer sought in sexual incidents,” Winnipeg Free Press, 24 January 1990, page 1. “Selkirk boys school sheds tough image, admits girls,” Brandon Sun, 10 June 1990, page 12. “Boys’ school dismisses classes forever,” Winnipeg Free Press, 29 June 1990, page 2. “National Healing Centre planned for St. John’s Boys School site,” Selkirk Journal, 23 May 1994. St. Peter’s Dynevor Anglican Church Rectory, Manitoba Historic Resources Branch. We thank Monica Ball [Manitoba Legislative Library] and Tim Worth for providing additional information used here.